Get outside and explore the magic of the San Francisco summer light in these two photography meetups led by Leanne Hansen. 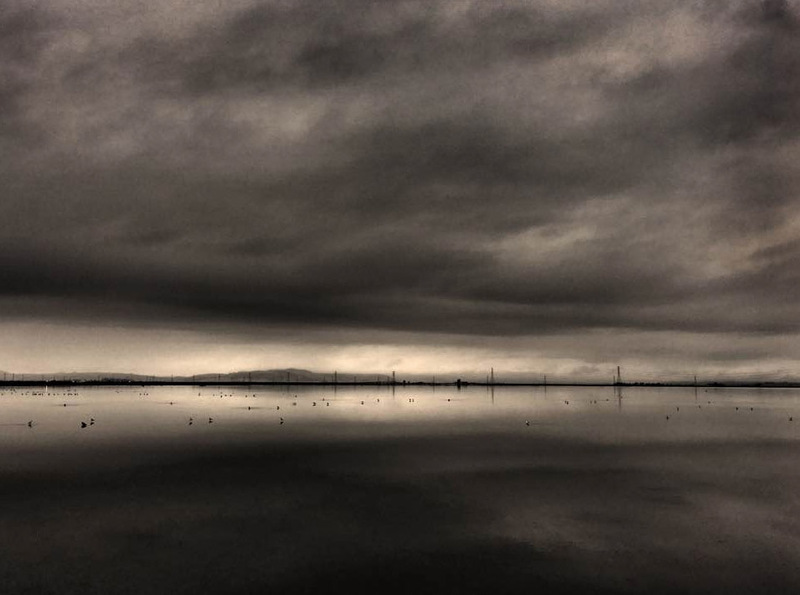 We are offering two separate photography “shorts” with Leanne Hansen this summer: San Francisco Summer Light Exploration and Quiet Light at the Coast. The primary goal of these two four-session workshops will be shooting. During each four-session workshop, you’ll shoot at three separate locations followed by one group critique session. One of our most popular workshop instructors, Leanne will be on hand to offer suggestions for composition and technical instruction, as well as insight for working with the natural light—Leanne has shot at these locations extensively. Prior to the first shooting session, you’ll get an email with details about the location and ideas for shooting. Each workshop will wrap with a group meeting and critique of everyone’s work. Six 11×17 prints (two from each location) for the final critique are included in the price of the workshop, which you will take home. Shoot dramatic sunrises and moonsets over the San Francisco Bay, the lights of the Golden Gate Bridge, enchanting early morning fog in the Presidio, and more. We’ll focus on “seeing the light” even before we frame our photographs. And indeed, the light we see will ultimately help dictate the photograph we choose to frame. Thursday, June 8, 4:30–7:30AM Low tide and sea stacks at Rodeo Beach. We’ll meet before dawn to experience the extravagantly beautiful light associated with the full moonset and concurrent sunrise at Rodeo Beach. Saturday, June 10, 7:30–10PM Three views of the Golden Gate Bridge, late afternoon at Baker Beach, blue hour from the Golden Gate Overlook in the Presidio, and after dark below the Golden Gate at Cavallo Point. Saturday, June 17, 4:30–7:30AM Enchanting Presidio: explore the early morning light in the Cypress and Eucalyptus Woods of the Presidio. 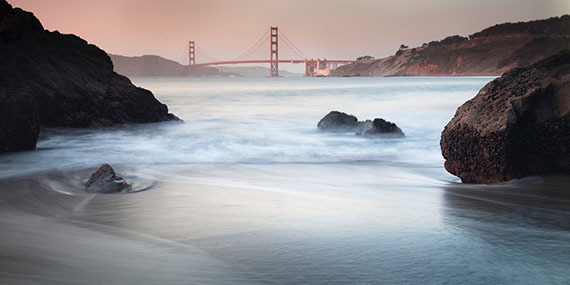 Develop your slow shutter photography technique along the beautiful Marin County coastline. During the summer, the shifting fog creates a tranquil, subdued atmosphere that changes moment by moment. Summer light in morning and evening provides opportunities for us to practice two techniques: still camera / moving subject and open shutter/ moving camera. 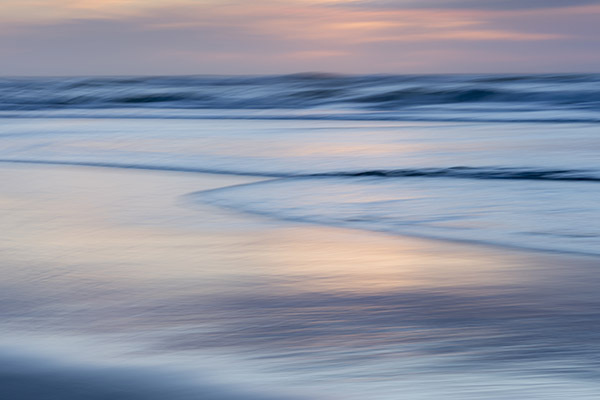 Saturday, July 8, 7:30–9:30PM Exploring motion blur and moving water at Muir Beach. Sunday, July 9, 7:30–9:30PM Exploring motion blur and moving water at Rodeo Beach. Saturday, July 22, 5:00–7:30AM Low ebb tide and early morning light at Baker Beach. Find new photographic inspiration with Leanne Hansen and Stuart Schwartz in their second studio lighting workshop collaboration! This still life photography workshop will give you the chance to slow down and study the ways that light creates dimension, shape, and texture. We will work with a variety of lighting techniques and configurations, including broad, soft window light and continuous studio lighting for dramatic effects. Each workshop participant will have their own table top to use for composition and lighting practice throughout the day. Photography techniques covered will include macro photography, balancing composition, selective focus, choosing backgrounds for simplicity and mood, the importance of point of view, and more. Bring your own subjects—flowers and objects with interesting shapes and textures—or work with a variety of natural and man-made forms provided at the workshop. Our workshop includes an introduction and brief history of still life photography prior to getting into the hands-on part of the workshop, a full day of shooting in the studio, and an evening critique session after the day in the studio. Also included is a 15-minute session with Stuart to work on your digital files and four 11×17 prints on Epson Premium Luster paper to be used in the critique. Saturday, 10AM–3PM: Full day of shooting in the studio: working with natural light, studio lighting, and a variety of light modifying techniques. Wednesday, 7–9PM: Evening critique session of printed work from the workshop. Sharpen your eye and hone your skills shooting natural light for creative effect. Put your knowledge to work in this field-intensive workshop for photographers who wish to master the “Language of Light.” In instructor Leanne Hansen’s previous workshops, we learned to think beyond our subject and to compose our photographs around the qualities of light available to us. In this workshop, we will focus on “seeing the light” at locations around the Bay Area selected for the variety of interesting and challenging natural light conditions they present. Photographers often think in terms of a subject to photograph: a building, a close up, a mountain, or a person. Yet we cannot move beyond basic documentation without fully understanding the qualities of light that surround our subject. Light is one of the creative tools photographers use to make the most of our photographs. The way a photographer exposes for that available light makes all the difference. In essence, light becomes the main subject of truly exceptional photography. In this workshop, we will focus on “seeing the light” even before we frame our photographs and indeed, the light we see, will ultimately help dictate the photograph we choose to frame. Each shooting session will last approximately two hours. We’ll have four in-class sessions to discuss our ideas about how we currently see, understand, and interpret light; explore and expand our knowledge of other creative techniques; and discuss our images in constructive print critiques. You will work with Leanne and the Image Flow staff to design a “light focused” independent assignment to be completed alongside the group sessions in order to help you to expand your skills and personal vision. In addition, as part of the workshop, each student will have a 20-minute one- on-one image review session with a member of The Image Flow staff to select and work on one of your images in Lightroom or Photoshop. This workshop is designed specifically for photographers who have previously taken Language of Light or Motion Blur for Expressive Images with Leanne, or who have a similar photographic background. The techniques covered will build upon what you’ve already learned in Leanne’s other workshops, and will serve as an opportunity to practice one’s craft in a group environment with formal shooting sessions and regular feedback. Fort Point. We’ll wrap up around noon. Thursday, March 2: In-class print critique, 7–9PM at The Image Flow. Sunday, March 12: Meet at 6:30AM at China Camp Beach (click for directions) for pre-dawn and sunrise shooting. Note that this is the first day of daylight savings, so be sure to adjust your clocks accordingly! We’ll wrap up around 8:30AM. March 13 – March 22: Independent location assignments designed for each student based on personal goals and a 20-minute one-on-one session with a member of The Image Flow team. Thursday, March 23: In-class print critique, 7–9PM at The Image Flow. Saturday, March 25: Depart from San Francisco Alcatraz Ferry at 8:45AM. Photographing on the Bay and on Alcatraz Island. Family members are welcome to join; additional tickets are $33.50. We’ll shoot for approximately two hours on Alcatraz; participants are welcome to stay on their own as long as they like. Anyone who has taken Leanne’s Language of Light of Motion Photography workshops, or any other similar workshop, and who wants to further their exploration of the creative possibilities of light. Language of Light or Motion Blur for Expressive Images, or similar experience. Call 415-388-3569 for more information or to register. “Leanne taught us all so much! I had never shot a landscape or used a tripod (maybe once before) prior to this class. I gained an appreciation for taking my time and really studying and understanding the quality of light before making an image.” — Liz H.
Leanne Hansen and Stuart Schwartz are teaming up for this exciting new workshop! Immerse yourself in form, color, and light as we explore creative ways to see and photograph the plants and flowers that have beguiled photographers for more than a century . This two-day workshop includes one all-day studio shooting session with incredible floral designs from the amazing Susan Zaring. Photography techniques covered will include macro photography, balancing composition, setting tone, selective focus, choosing backgrounds that evoke simplicity and impact, and so much more! This workshop will only take a maximum of eight participants—sign up today! Local photographer Leanne Hansen is offering another session of this popular workshop designed to help build your visual and light vocabulary and to harness the technical power of your camera to create original, expressive photographs with natural and found light. Photographers often think in terms of an object that we want to photograph: a building, a scene in a park, a mountain, or a person. Yet we cannot move beyond basic documentation without fully understanding the qualities of light that surround our subjects, the way the camera “sees” light, and the creative tools we can use to make the most of the light that is available. In this workshop we will build and practice our “light vocabulary” so that we can expand the way that we see light when we are making photographs. This six-session workshop will include classroom lectures designed to illuminate concepts and inspire you to try new ways of photographing based on the light available to you. Together, we will practice what we’ve learned in our on-location shooting sessions in the beautiful light in and around Marin County. We’ll work image review time into each lecture, and you’ll have the chance to meet with Stuart Schwartz or Anthony Fendler for a one-on-one printing session. The dynamic qualities of light, from golden, to raking, to gray, and more. How to manage the technical features of your camera to capture the light you love: ISO, shutter speed, and aperture; RAW vs. JPEG; working with the histogram, multiple exposures and dynamic range; preparing for shooting outdoors and in low light. Creative ideas and strategies to help you to make a photograph that matches your unique vision: Framing and POV; prospecting for personal and compelling shots; using screens and reflections; using different lenses; and learning from the pros. EarlyBird Discount: Sign up before February 15, 2016 and receive a $50 discount. See below. This workshop is designed for advanced beginning to advanced intermediate photographers who want to continue to explore their creative potential through photography. Grab a spot in Leanne Hansen's new workshop, get $25 from us & more! Learn to create painterly, expressive images! Leanne Hansen will be back at The Image Flow to teach her second workshop in January! 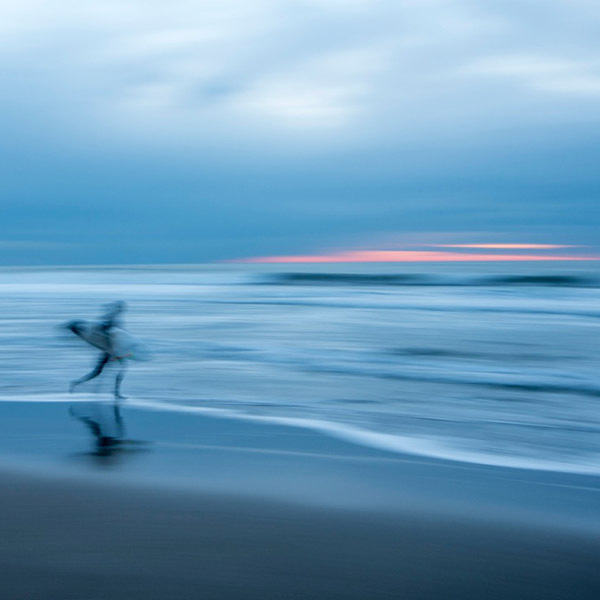 During the course of four sessions (two in class and two in the field), you will experiment with panning and other techniques to create dynamic images that express the speed, motion, energy, and essence of a scene. And—we're offering $50 off our local workshops if you enroll by December 31! Leanne's first workshop filled up in a day—so don't delay and grab your spot today! Surfer at Ocean Beach. Photo © Leanne Hansen. Begining October 7, I'll be teaching on Wednesday evenings at The Image Flow in Mill Valley. For more information or to register for the class, contact Constance at The Flow...415-388-3569, or register online here. Local photographer Leanne Hansen will teach this workshop designed to help build your visual and light vocabulary and to harness the technical power of your camera to create original, expressive photographs with natural and found light. This nine-session workshop will include classroom lectures designed to illuminate concepts and inspire you to try new ways of photographing based on the light available to you. Together, we will practice what we’ve learned in our on-location shooting sessions in the beautiful light in and around Marin County. We’ll work image review time into each lecture, and you’ll have the chance to meet with Stuart Schwartz or Anthony Fendler for a one-on-one printing session. Instructor bio: Leanne Hansen is a 30-year veteran of business development and sales in media and technology. Her passion became a “project-based profession” after she purchased her first digital camera and found her way to The Image Flow. Now Leanne lives and works as a commercial and fine art photographer in Marin County, CA. She has participated in numerous group shows at The Image Flow, the O’Hanlon Center for the Arts, and Marin Open Studios, has been published in the Bay AreaWhere Guestbook and Edible Marin and Wine Country, and her fine art prints are included in private and corporate collections across the country. See more of Leanne’s work on her website.